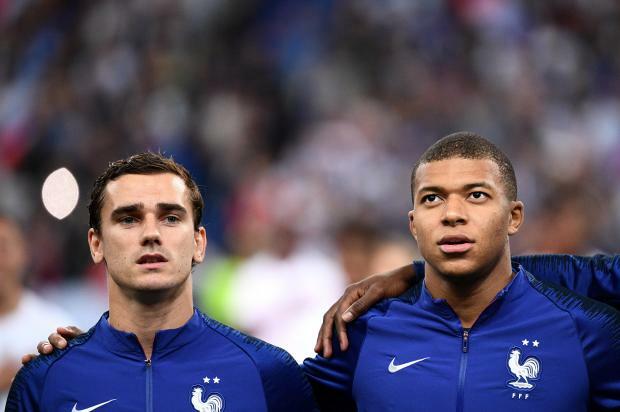 France's forwards Griezmann and Mbappe are considered to be football heroes. French families are now free to choose first names - up until 1993 they had to pick from an approved list - but local authorities can still refer parents to prosecutors if their choices are seen as damaging for the child. A local official who deemed that "Griezmann Mbappe" - after Atletico Madrid forward Antoine Griezmann and Paris Saint-Germain's Kylian Mbappe - was "contrary to the child's interest" referred the case to the public prosecutor. Other names to have run afoul of the law in France in recent years include "Jihad". Best known in France as the term for an Islamic holy war, "jihad" can also mean a personal and non-violent struggle against sin for Muslims.